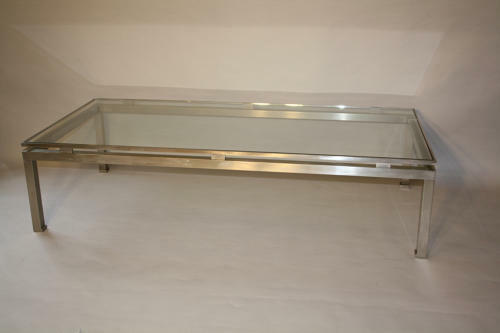 A wonderful fantastic sized brushed steel coffee table by Guy Lefevre for Maison Jansen. French c1970. Elegant with great proportions and classic Guy Lefevre design detail to this rectangular coffee table.